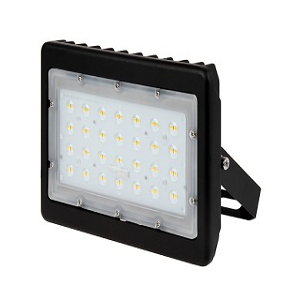 FOR CLASS 1 DIVISION 2 HAZARDOUS LOCATIONS – 9,000 LUMENS. 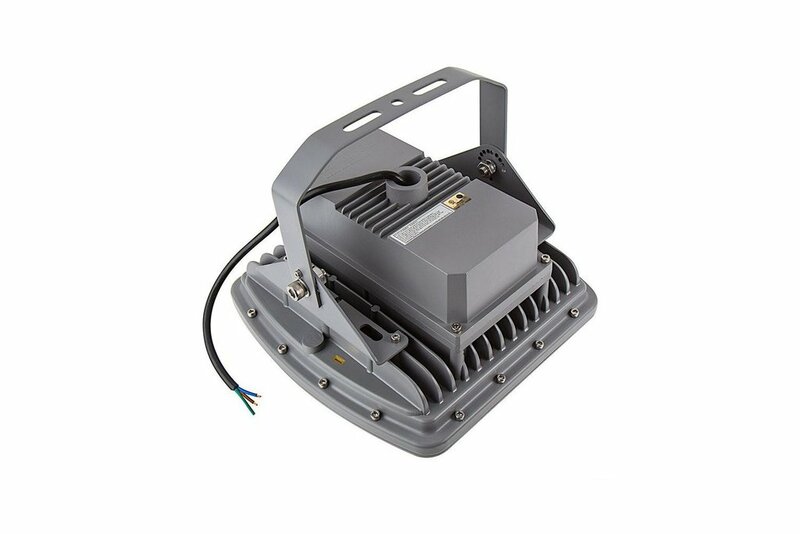 This Explosion-Proof LED Light is engineered for Class 1 Division 2 hazardous locations and high particulate areas such as granaries, mills, and mines, locations with gasoline vapors like gas stations, airplane hangars, or auto shops, and environments where petrochemical vapors exist. 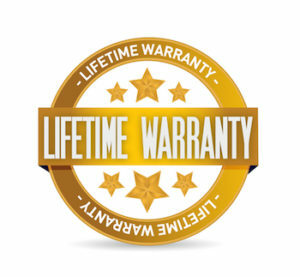 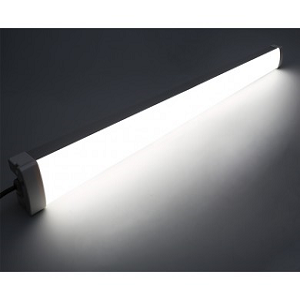 The LED light is certified as UL844 and meets National Electric Code—NFPA 70, article 500—requirements in the U.S. for Class 1 Div 2 (groups A, B, C, and D) hazardous locations. 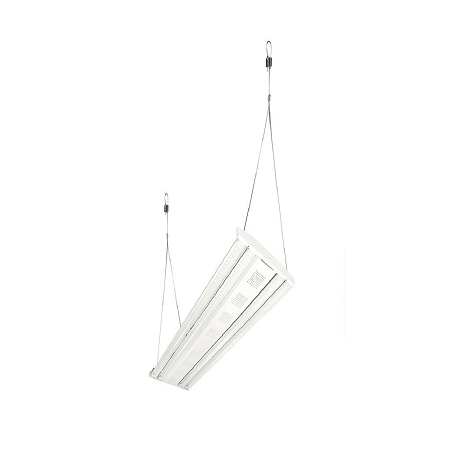 The light fixture also meets ATEX Zone 1 and Zone 21 requirements in the EU for the likely conditions of combustible gas, mists, dust, and vapors. 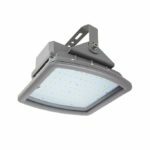 A vibration-resistant die cast aluminum housing prevents the release of sparks from internal components, and 84 LEDs (3535 SMD) are protected by a tempered glass lens. 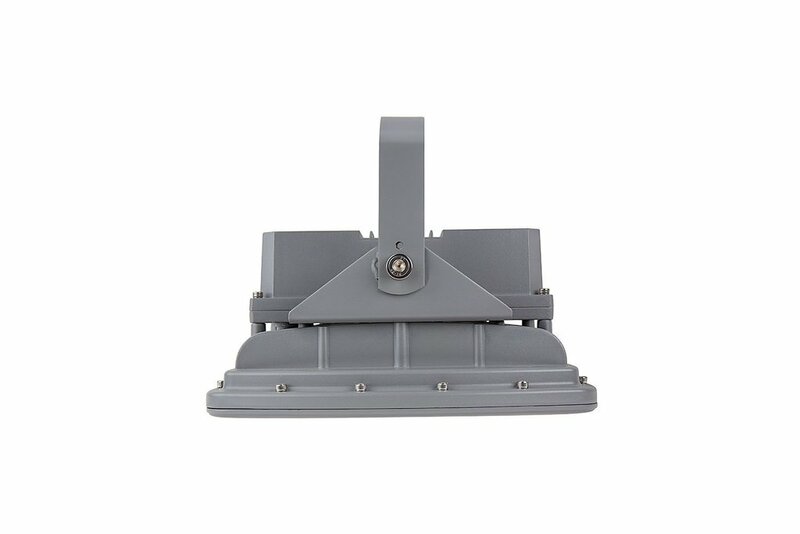 LEDs in the waterproof LED flood light emit 9,000 Lumens of powerful natural white (4100K) illumination and produce a wide 120° beam pattern. 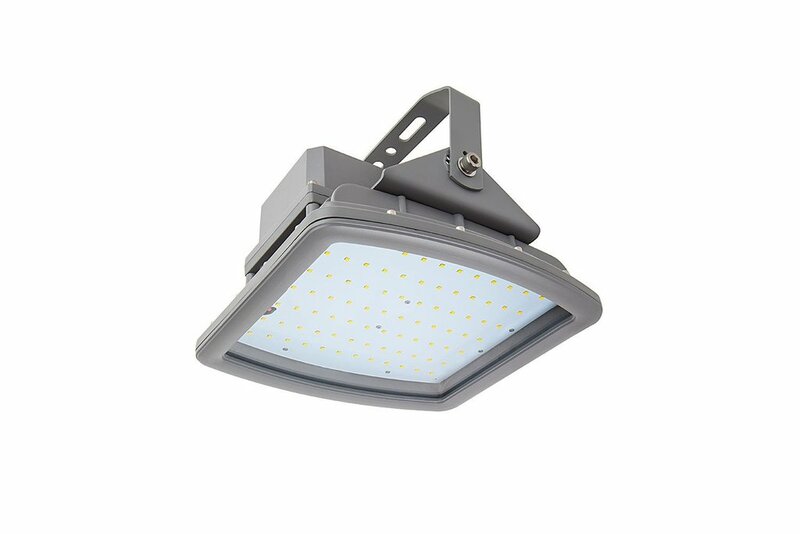 This 100-watt LED Explosion-Proof Light replaces 250-watt metal-halide (MH) lights with comparable output and lasts 5 times longer. 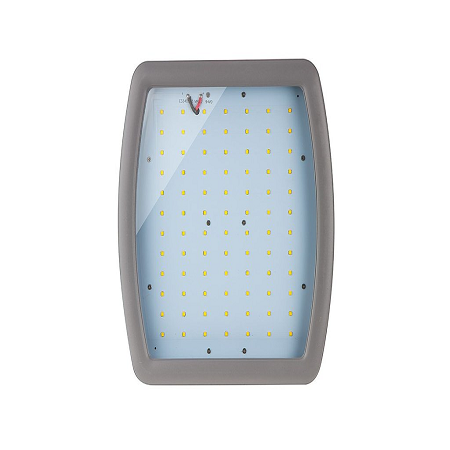 The LED fixture operates within a wide 100-277 VAC range. When mounting, a conduit must be used to maintain safety certifications. 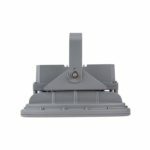 Can be directly pole mounted with conduit or mounted to a wall or ceiling using both bracket and conduit. 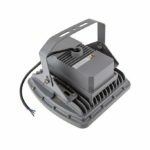 Also available in a 200-watt version.